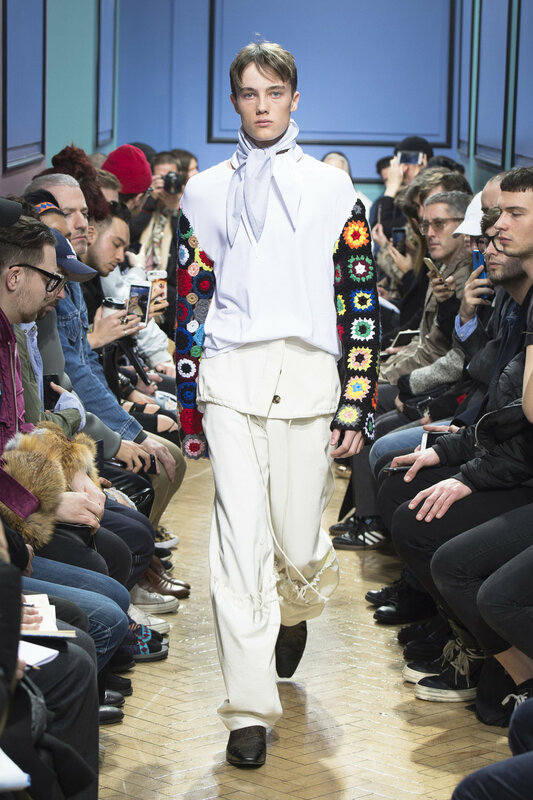 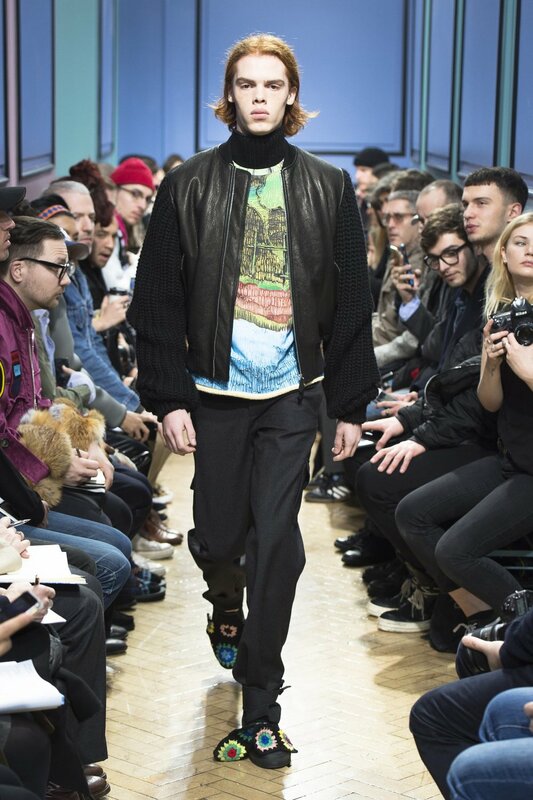 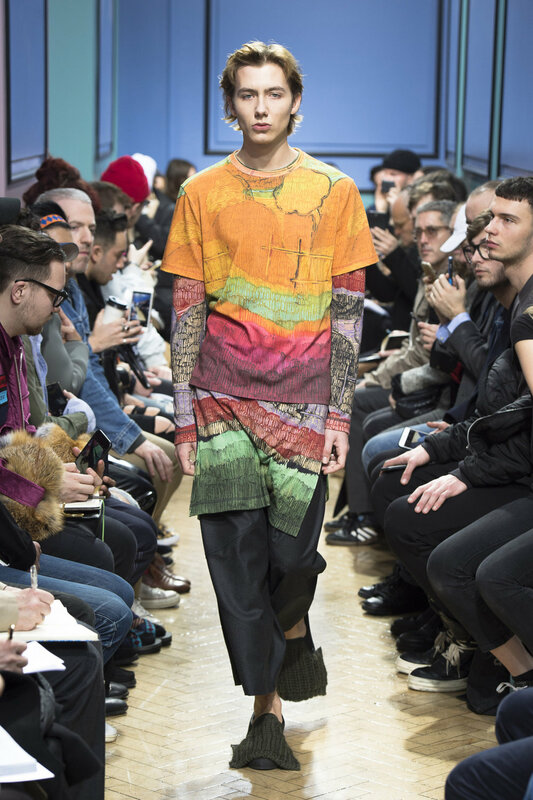 Despite all this beautiful commotion, Anderson managed to create a collection for his namesake brand that elegantly showcased what he called “primitive tailoring," something that came through in his various crocheted pieces and stain glass patches on sweaters and jeans; resulting in something that felt like true English heritage at work. 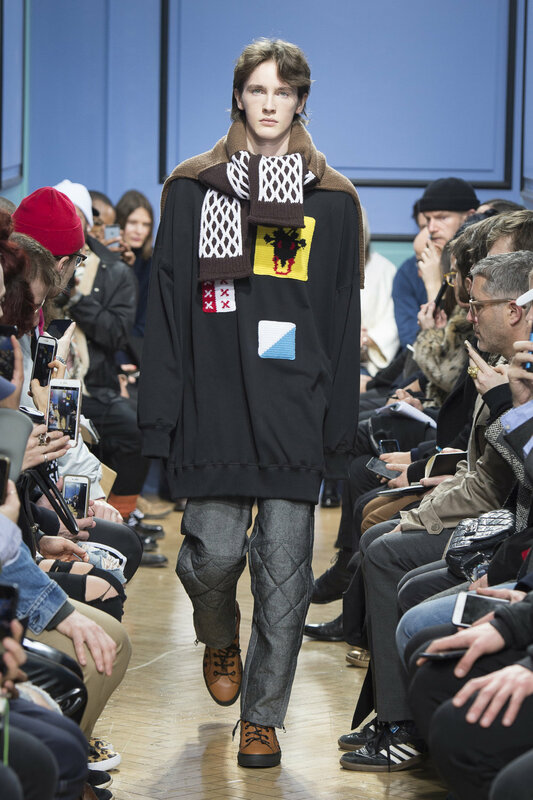 Tops throughout the collection were oversized, a recent staple of Anderson’s, with sleeves sometimes hanging well below the models’ hands or being thickly bunched above the wrist. 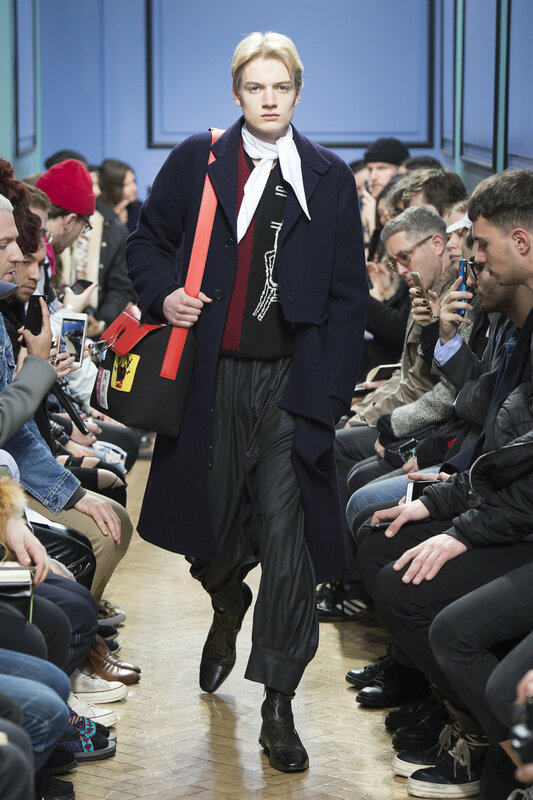 Trousers were also allowed to slouch and either ended in cropped cuffs or elongated flares. 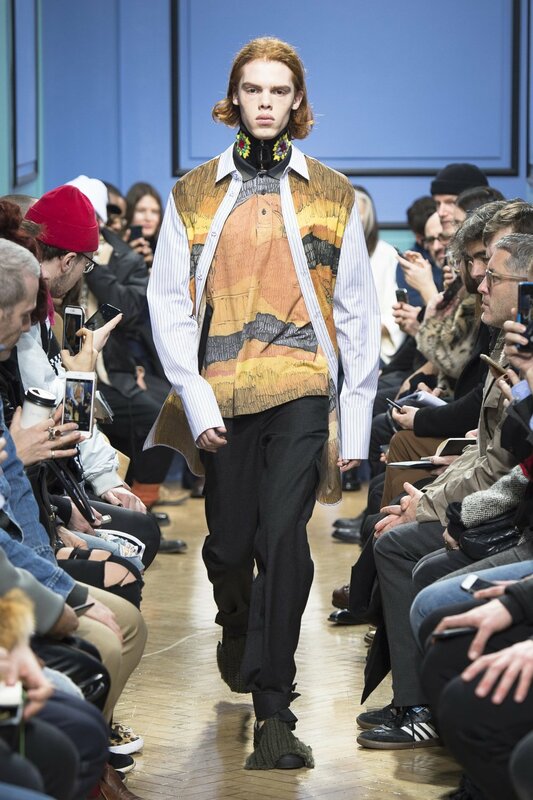 One pair that was particularly eye catching was found in a scalelike, metallic material that seemed to slither behind models as they strode along. 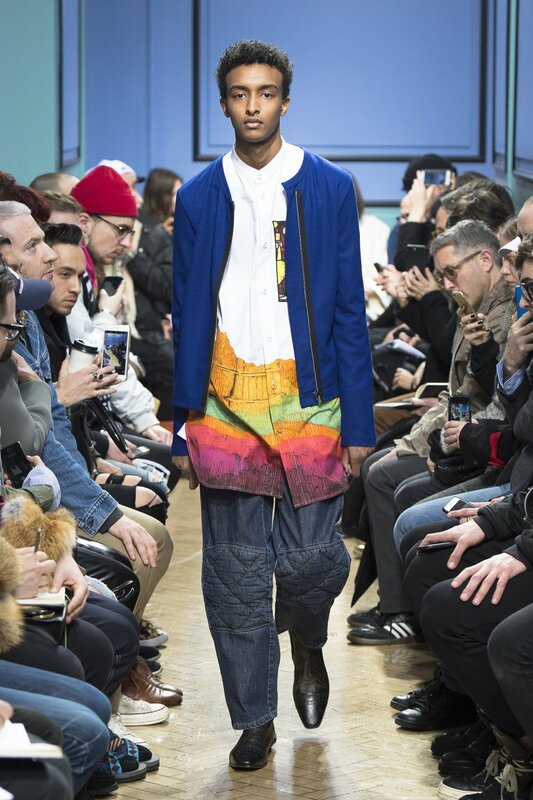 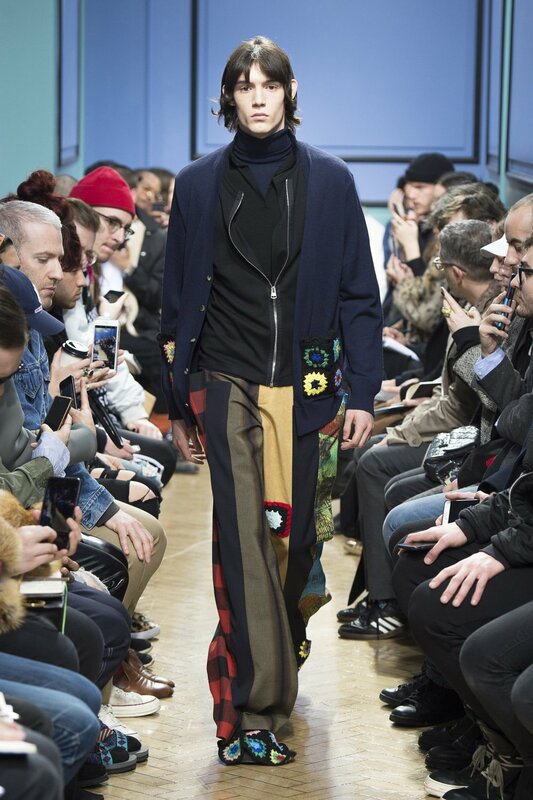 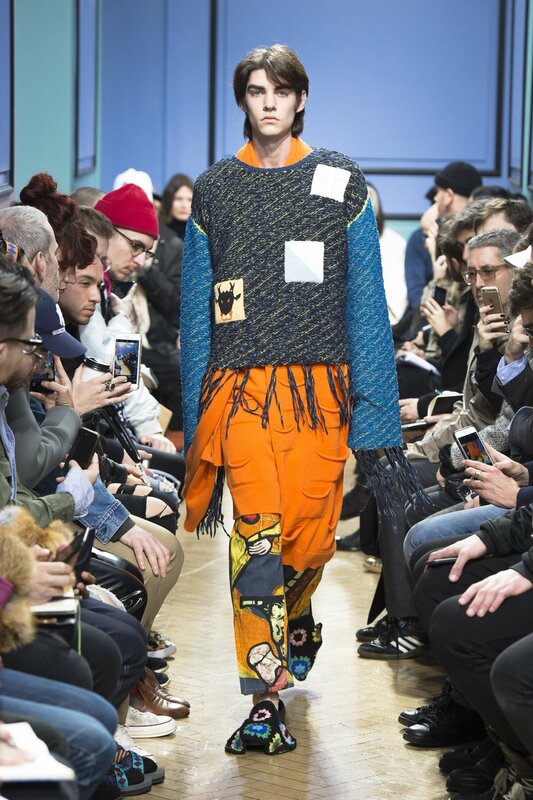 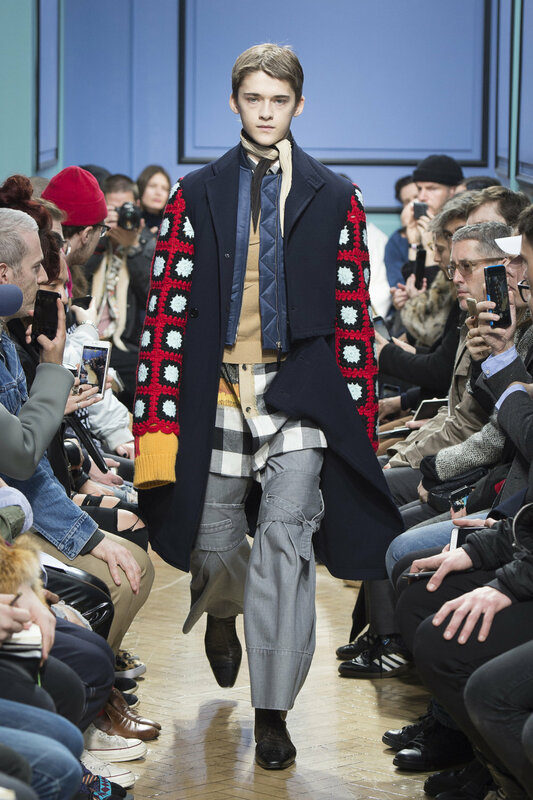 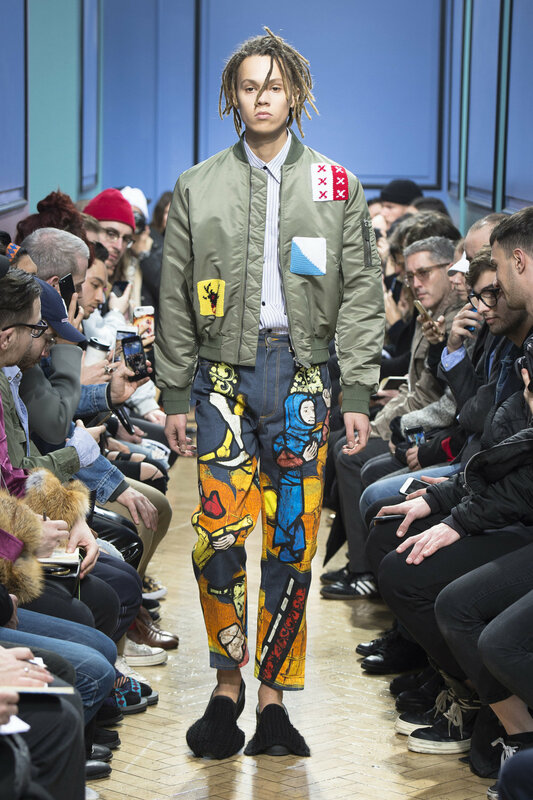 Of course, while there were the more artistically admirable, less wearable garments, Anderson also supplied us with plenty to add to our AW17 wish lists. 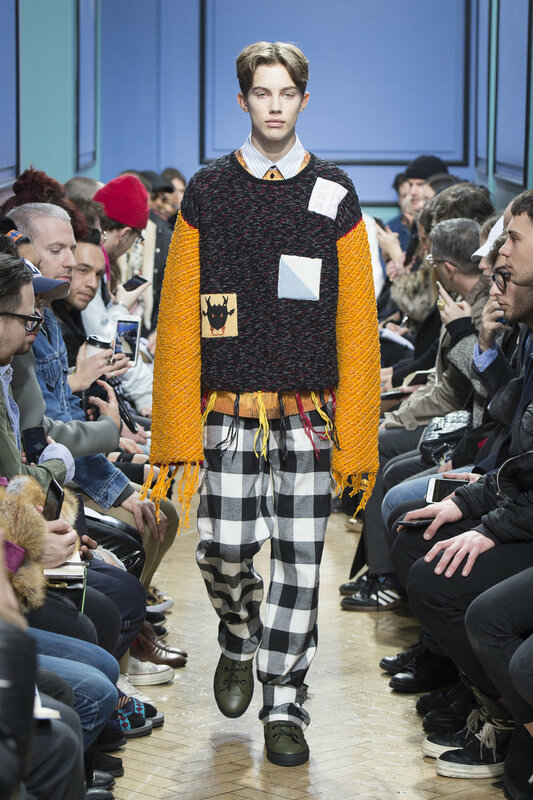 At the end of show were two fitted shearlings in light brown and steal-gray with long, overturned sleeves. 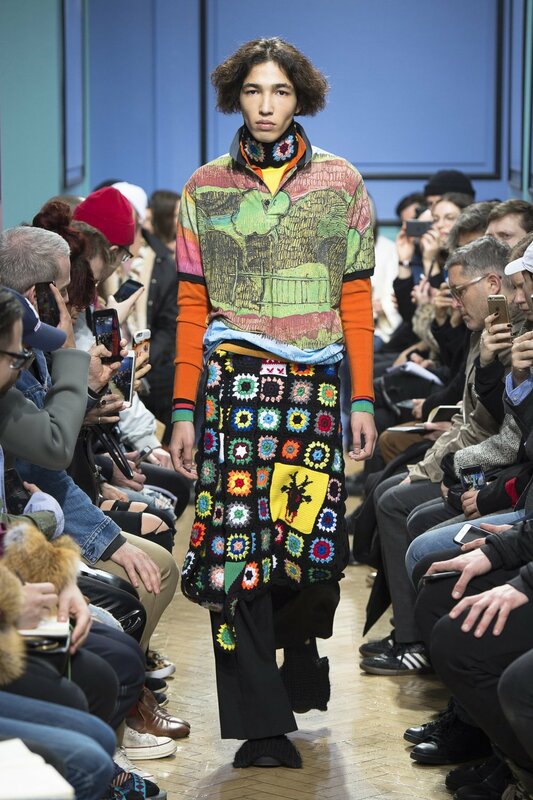 Charming patch sweaters worn with thick neckerchiefs, and the fantastic jeans with the portion of a stain glass image so intelligently placed, were also definitely added to this list.